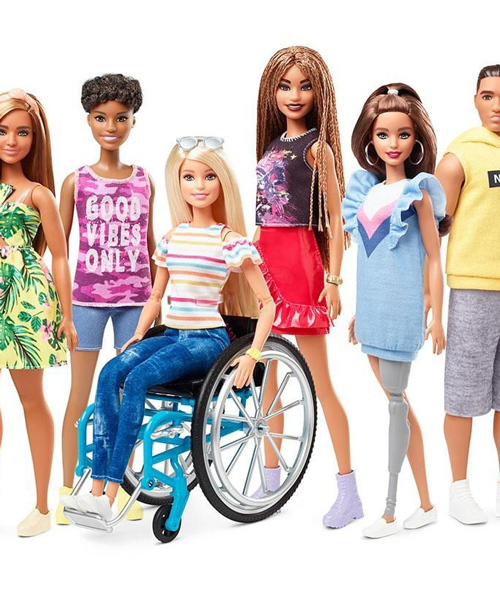 after failed attempts more than twenty years ago, barbie is making moves again to broaden the definition of beautiful. 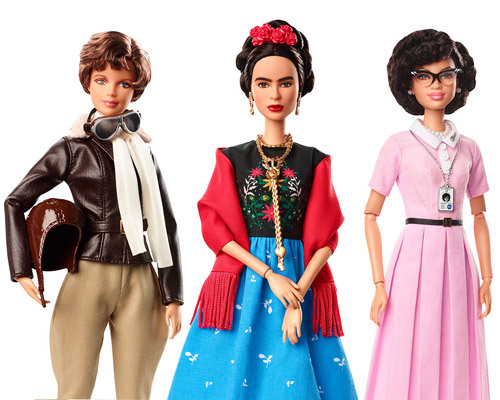 the doll shines a light on an underrepresented career field for women. the 'barbie mustang go kart' took four days to build and has been upgraded using a 240cc engine from a honda dirt bike. 14 new releases include NASA's 'hidden figure' katherine johnson, iconic artist frida kahlo and aviator amelia earhart. doll reconstruction makes these toys more down to earth, deciding on your own standards of beauty and being in control. 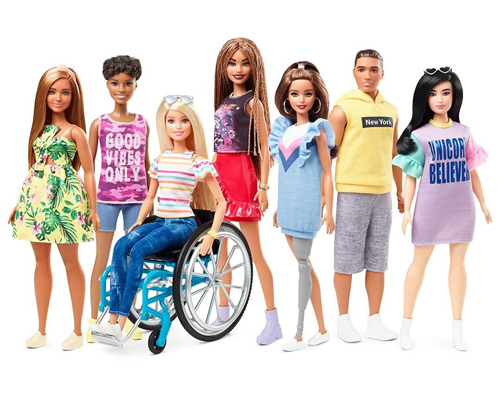 as the frontman of barbie's effort to diversify the ken doll stands the classic jock-turned-hipster: man bun ken. the famous female figure is envisioned as the big apple's new mayor, renaming the island 'barbiehattan' and re-configuring the master plan of the city. photographer giampaolo sgura turns supermodels magdalena frackowiak and elisabeth erm into couture dolls. 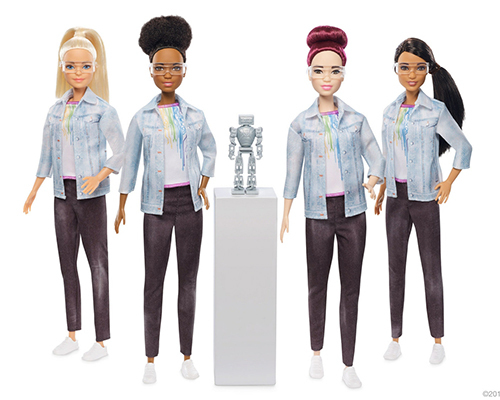 mattel will be releasing a doll that channels all that is lagerfeld - from the high-collared crisp white shirt complete with a necktie, black jeans and tailored jacket, sunglasses, right down to the most important details - his signature fingerless gloves. using an icon of play, whimsy and carefree adolescent amusement, annette thas has woven thousands of plastic toys together into a free-standing composition that rises above the indian ocean. since its opening on may 16, 2013, the attraction has been receiving much criticism from feminists who are saying that it is a display of sexism, and perpatuates bad stereotypes about women. the signature color was translated into an outfit for the iconic figurine with an ensemble made up of PMS 219C. from bob dylan and marilyn monroe to nefertiti and mona lisa, barbie sits as the model for a photographic and graphic series that juxtaposes modern and antiquated standards of beauty. the artist modifies the iconic barbie into a contemporary korean relic. illustrating the more sinister side of barbie's picturesque life, the collection of photographs depict the doll as an aggressor of a number of gory scenarios, often as on-and-off-again boyfriend ken as the victim. this ad campaign promoting an upscale residential apartment uses voyeuristic photographs of cosmopolitan dolls living out the ultimate bachelor lifestyle. artist-designer eliana lorena has dressed 500 black barbies according to different cultures of women from around the world, with clothes that she has designed and made ad hoc. 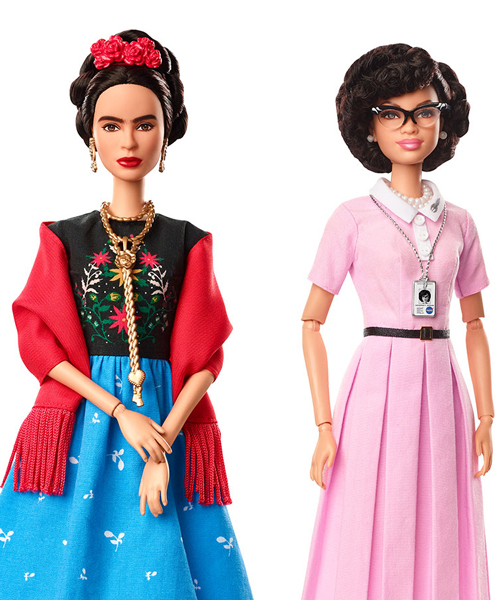 lorena's goal was to make barbie become a real woman, not the woman becoming the barbie. in honor of barbie's 50th anniversary, french shoe designer christian louboutin is due to release three new barbie dolls which he has designed from head to toe, remaking both her fashion wardrobe and her physical appearance. 'barbie foot' combines the iconic doll with table football. kartell released a series of limited edition barbie furniture to celebrate the icons 50th anniversary. the first ever 'barbie' flagship store designed by slade architecture recently opened in shanghai. 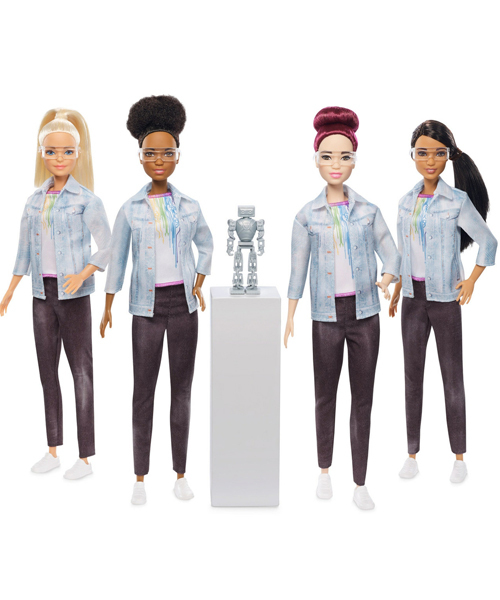 at new york's semi-annual fashion week models styled as mattel inc's fashion icon - barbie took to the catwalk in designer outfits. for the 50th anniversary of barbie, designboom presents a snapshot report with over 100 images of the making of barbie, from a designer's point of view. 'the birds' themed Barbie® doll, licensed by Mattel, Inc.
the models in alex sandwell's photographs have been transformed into barbie-like dolls. their joints appear to be made of plastic, rotating on a simple axis.